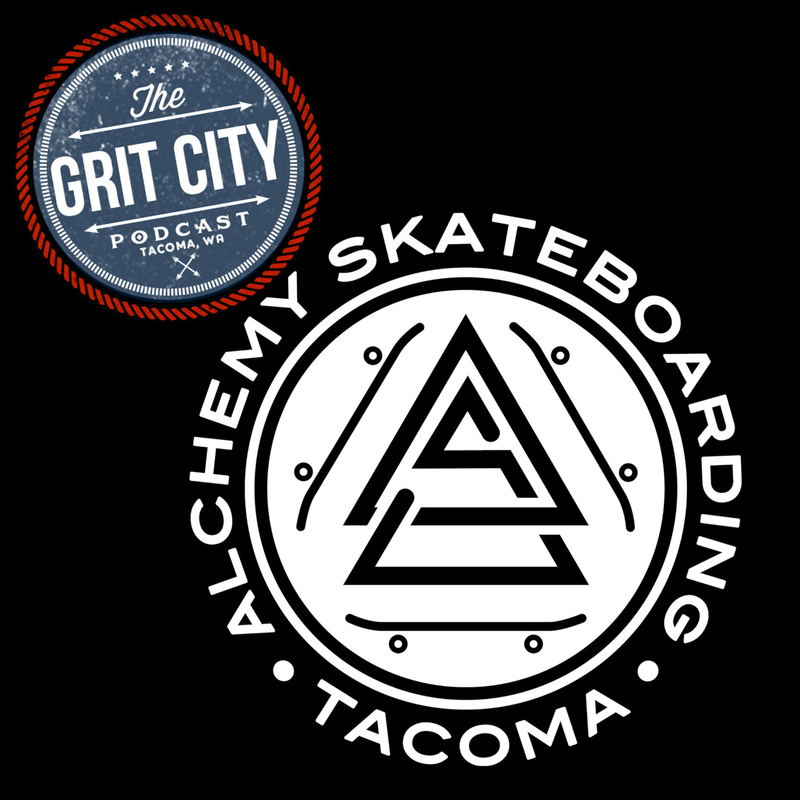 On this episode, the guys talk to Taylor and Terrance from the non-profit Alchemy Skateboarding, Tacoma’s best kept secret. From their website, Alchemy Skateboarding “believes that skateboarding naturally promotes and teaches: confidence, creativity, determination, grit, and the importance of fun. Despite all the good that skateboarding has to offer, it still exists on the fringes of our community, and has not been positively approached, embraced, or encouraged. We are constantly inspired and humbled by the passion that skateboarders share world wide and have made it our goal to support them on their journey and provide a framework and structure for them to improve the quality of their own lives, and the lives of everyone in our communities.” They are currently running a GoFundMe project, looking raise 35,000, listeners can donate here: https://www.gofundme.com/alchemy-is-real. 2:05 – Taylor tells the guys about who Alchemy Skateboarding is, how long the company has been in business, and what they offer the community. Justin talks about skateboarding in University Place when he was a kid, Taylor discusses the age ranges they’ve taught so far at Alchemy, the partnership with the Big Brothers Little Brothers program, and the how the cost of health care impacts skaters as people age. Taylor talks about opening a skate club at University of Puget Sound and being involved with Space Works. 11:57 – Terrance converses about moving to Tacoma from Southern California, how the team came to the decision of doing an indoor skate park. Then they go into Alchemy’s ladies night, the stigma around skateboarding, and the importance of parents knowing their kids are in good hands at their center. Taylor expresses how skate boarding is really for anyone, their GoFundMe that’s currently going on, and the partnership the company has with Pierce County Juvenile Court. 22:41 – Taylor discusses their partnerships with other businesses in Tacoma, the variety of people that are in Tacoma with a drive to do something for the community, part time jobs he held while building the company, and the process they followed with building the non-profit. Taylor shares the great yet simple advice he gives from a fortune cookie proverb, Terrance discusses what it’s like to drive around South Carolina, Taylor chats about the event’s they’ve held in the past, and how skate boarding was illegal in Tacoma from 1992 - 2011. 36:07 – Taylor explains the 15 rebuilds of the skate part that has happened since they’ve been open, the event series they’re offering to their customers, and the community around skate boarding. He explains how skateboarding has a language of its own, the volunteering opportunities they offer, and where people can find them online. They encourage listeners to like and share the podcast, they wish Terrance a happy birthday, and Terrance discusses teaching preschoolers. Thanks Taylor and Terrance for taking the time to sit down with GCP and talk about the great things Alchemy Skateboarding does for the community! Alchemy — OUR Mission: Providing opportunities for Youth to Learn and Grow through skateboarding OUR Vision: A FUTURE WHERE SKATEBOARDERS ARE RECOGNIZED AS POSITIVE CONTRIBUTORS AND AN INTEGRAL PART OF OUR VIBRANT COMMUNITY. OUR VALUES: RESPECT, INTEGRITY, COLLABORATION, DIVERSITY, AND FUN. 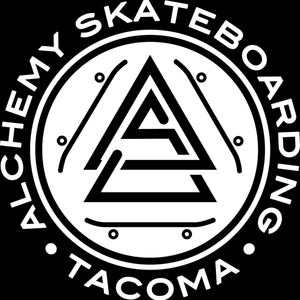 Fundraiser by Taylor Woodruff : Alchemy Is Real — We are a small non-profit based out of Tacoma, WA with over 5 years of experience creating unique opportunities for youth to learn and grow through skateboarding!